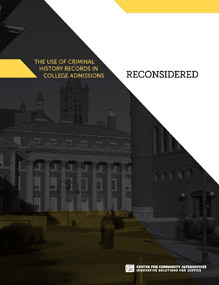 CCA announces our newest publication, "The Use of Criminal History Records in College Admissions Reconsidered". © 2008 Unchaining Civil Rights. All rights reserved.